Congress candidate for Darjeeling Lok Sabha constituency, Sankar Malakar, said Gandhi was slated to address the meeting at Dagapur in Siliguri on Sunday. 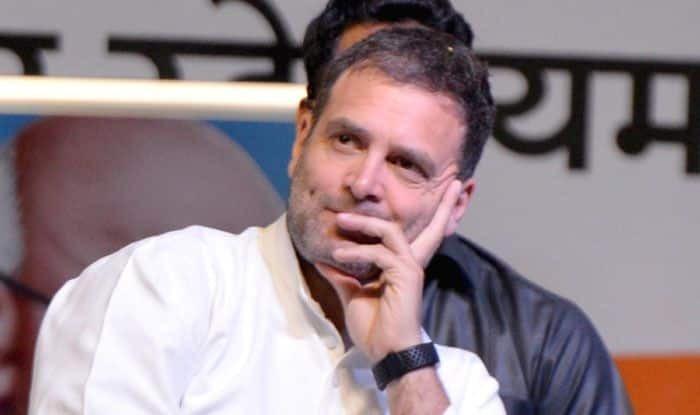 A scheduled election meeting of Congress president Rahul Gandhi on Sunday has been cancelled in northern West Bengal after the Darjeeling district administration denied permission to let his chopper land at the Police Ground in Siliguri, a Congress leader said. State Congress working president and the party’s candidate for the Darjeeling Lok Sabha constituency, Sankar Malakar, said Gandhi was slated to address the meeting at Dagapur in Siliguri on Sunday. The incident also brought to the fore the bickering in the state Congress. When IANS contacted state Congress President Somen Mitra, he denied any knowledge of the meeting. “I have no information about any meeting to be addressed by Rahul ji in Siliguri on Sunday,” a peeved Mitra said.